Makers of beautiful things to people who appreciate the unique and handmade. 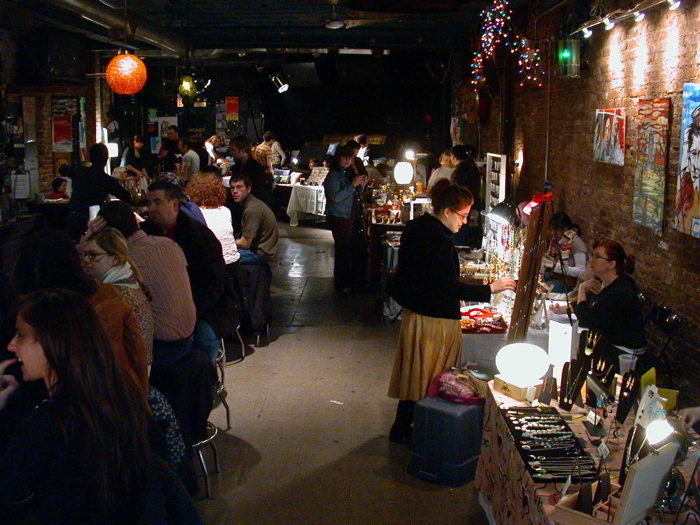 The Handmade Market is a unique event to connect the makers of beautiful things to people who appreciate the unique and handmade. The Empty Bottle is open noon to 4:30 pm. We are open the second Saturday and the fourth Sunday through April. Feel free to shop with mimosas in hand. (We do encourage relaxed shopping.) You can also grab brunch at the tasty Bite Cafe next door. Markets include funky jewelry, glass pendants, knitted items, handbags, clothing, paper crafts and more. Did you know that in the city there are many makers who create jewelry, clothing, scarves, handbags, journals, greeting cards, and more? Do you want your money to go directly to the people that make the things you buy? Here you can establish a personal connection, and our makers are even encouraged to demonstrate or make their products during the event. Sustainable crafterness is our motto and this is a regular monthly event. We strive to create a crafters’ market, with affordable handmade local items. We try to make this accessible to up and coming designers, jewelry makers, and others. Come out and help support your monthly crafters’ market.